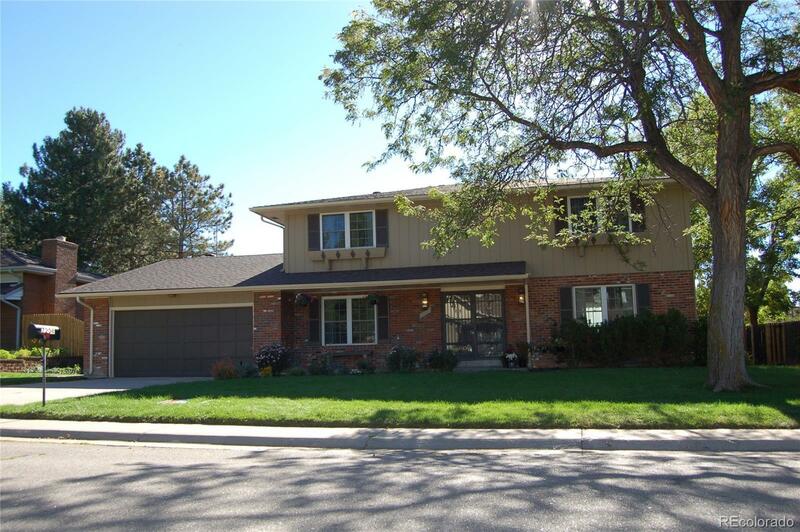 French Country Two-story home in the heart of Columbine Knolls. The main floor offers a gourmet kitchen with slab granite, and a surplus of counter space. New roof! Newly finished basement! Excellent backyard for entertaining and play! Stainless appliances in the Updated Kitchen! Study on the mainfloor can be used as 5th bedroom. Covered patio and new fence. Updated bathrooms. Move in condition in a beautiful and popular community!